I would like to wish everyone a very Merry Christmas and I hope you have a save and a Happy New Year. 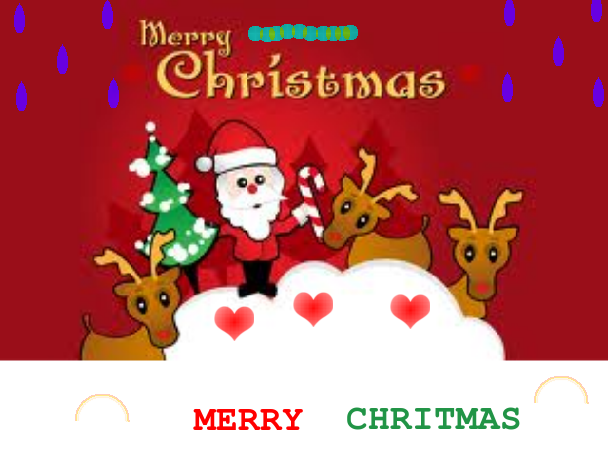 This is Christmas Video since it is the end of the year and Christmas is nearly here I would like to say Merry Christmas and a Happy New Year. Caitlin & Taryn from Joy Paton on Vimeo. This is my Vimeo on My presentation on Christmas I hope you enjoy. 1. Are you pleased with your Endless Rhythm painting? why / why not? 2. What did you find easy when you created your Endless Rhythm painting? 3. What part did you find tricky when you were creating your Endless Rhythm painting? -think about painting, ruling it up tracing plates, cups, etc. 4. Who / What helped you when you were painting? 5. What would you do differently next time? Think about: colours, painting, ruling up, etc. 6. What frustrated you when you created your Endless Rhythm painting? 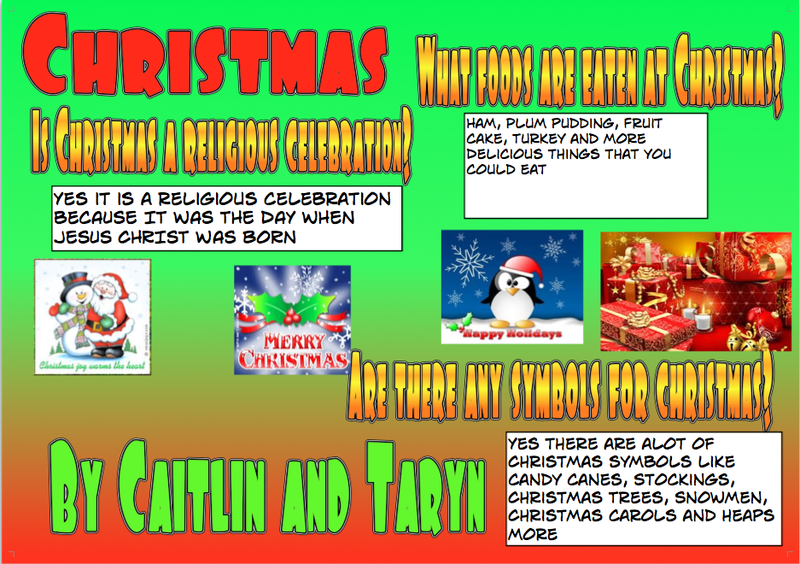 This is my comic life poster on Christmas. Me and Taryn worked together on this. Fine and Caitlin from Joy Paton on Vimeo. 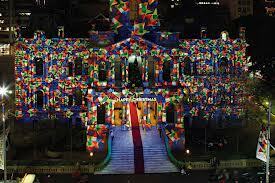 This is my Presenation on Diwali. This is a vimeo of Me and Fine presenting our presentation to the class. 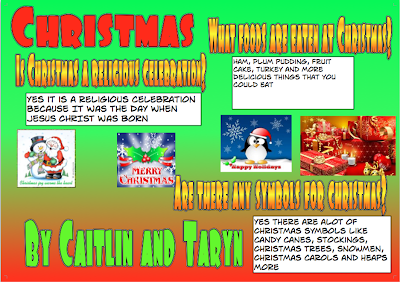 This is my comment that I made to Liantre on her Christmas presentation. I think her presentation looks very nice. 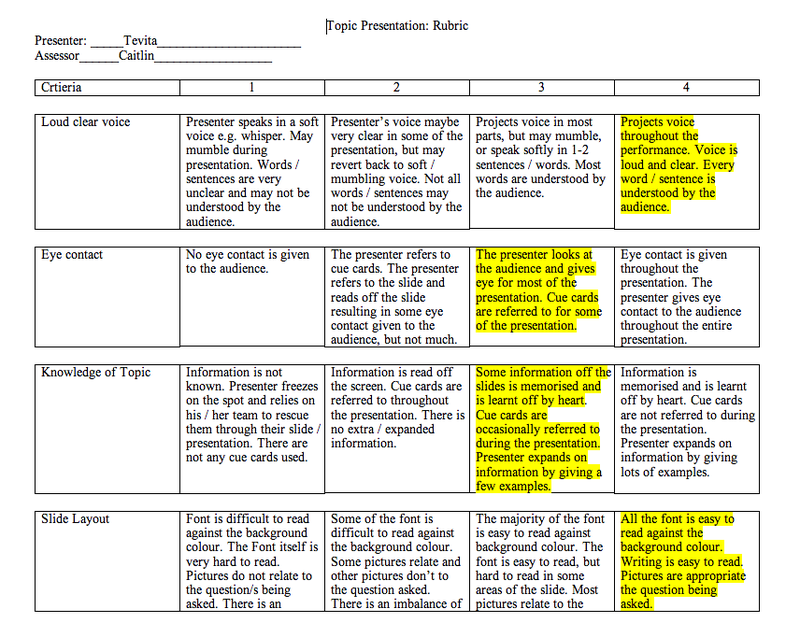 This is my presentation Rubric I did my one on Tevita. 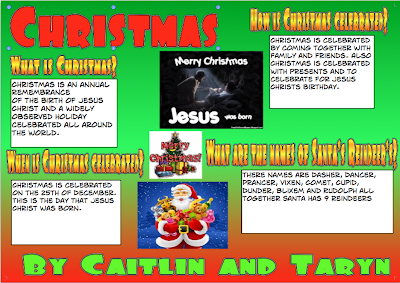 This is my presentation on Christmas. This year I have found using my netbook to be successful. I have enjoyed using my netbook because, it is more easier to write with instead of writing all messy. Now that I have got my netbook writing is more easier. It writes more neater and if you make a mistake in your writing book you rub it out and it creates a big mess but on my netbook all I have to do is press backspace and it will delete the mistake that I have made instead of making a big mess. The mistake will be deleted straight away. The barriers in using my netbook are when you can’t get onto the sites that you want. Internet connection is annoying because when you need to do something important the internet isn’t working. It can get in the way of our learning. Burglars are a massive problem. Earlier this year my class got broken into they stole 4 netbooks and 4 chargers. My friends Angel and Isabella were feeling upset because their netbooks got stolen in the burglary. The interesting aspects / parts to using my netbook are being able to access my Individual blog. My blog is like an online portfolio. I think it is interesting because people all around the world can view my blog and my family and friends as well. I can put create lots of blog posts on my blog. 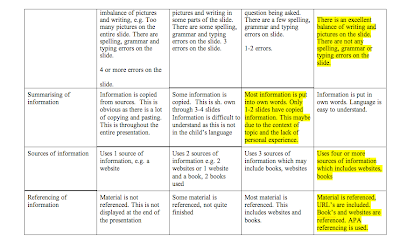 I have found using my google docs interesting because I have my own email and password. 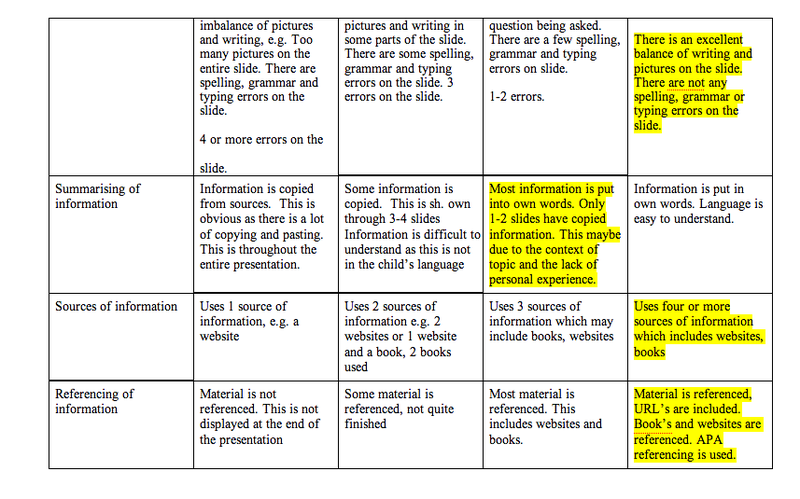 I can make my own documents and write a recount or instructions or anything I need to work on. One sunny morning my class Room 5 made Traffic Light Jelly. I love jelly but I have never tried Traffic Light Jelly before it will be a new flavour for me. To make our jelly we needed to boil some hot water, two cups of ice, wooden spoon, measuring cup, plastic cups. We made the Traffic Light Jelly after morning tea. 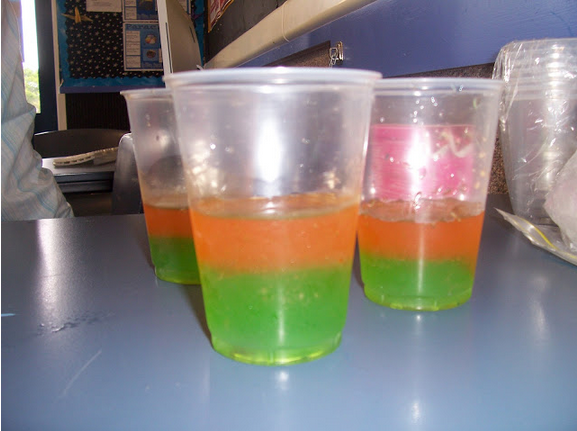 Miss Paton and Mrs Kelly helped Room 5 make the Traffic Light Jelly. The first thing we had to do was wash our hands. When we all came back from washing our hands the table had all the equipment that we need to make the Traffic Light Jelly. I had to open the Jelly box full of jelly crystals then I poured it into the bowl. Miss Paton chose two people to pour in the boiled water. I got to stir the jelly mix with the wooden spoon. I had to make sure that there were no more jelly crystals at the bottom of the bowl. Next we had to pour in two cups of ice, mix it and when we couldn’t see any more ice in the bowl it was time to put the jelly in our plastic cups. We put in 6 tablespoons of green jelly only half the class got to fill up their plastic cups. Me, Angel, Isabella and Taryn helped Miss Paton take the plastic cups to the Hall kitchen. We had to wait for 15 minutes until we went back to go and get them. Finally it was past 15 minutes, we went with Mrs Kelly to get the cups out of the freezer. We got back and were ready to put the orange on top of the green jelly. We took the cups back to the freezer. The jelly is waiting to be taken out. Now it is time to do the red jelly we do the same things that we did for the orange and green. We had to go to the Hall kitchen to get the cups full of jelly out of fridge. When we got back from getting the jelly out of the fridge we put in the red jelly YUMMY it definitley looks like Traffic Light Jelly. I think I will enjoy eating the Traffic Light Jelly. I really had fun making Traffic Light Jelly I hope we will be making the jelly again.